In an oversized tier silhouette, this dress from our Kin by John Lewis Limited Edition is adorned by a 'minimal modernist' print from Laura Slater. It features a nipped-in waist, short sleeves and a classic round neck. 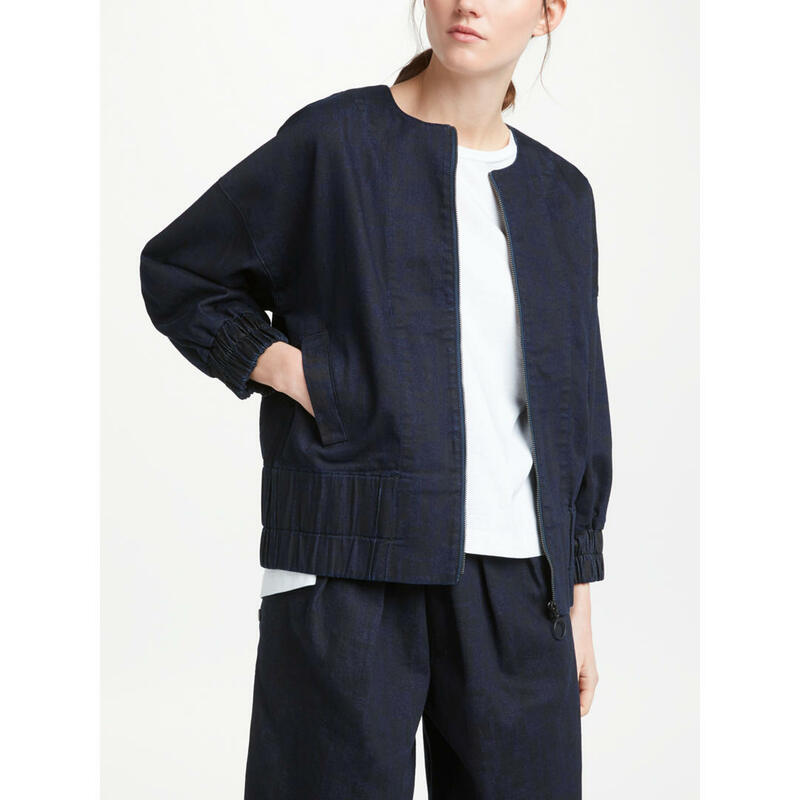 A modern take on a classic denim jacket, this piece from our Kin by John Lewis has been designed with a bomber silhouette. Designer Laura Slater has created a subtle black print that adorns the style for a fashion-forward finish. A full midi skirt with added pleating for volume, this skirt from our Kin by John Lewis limited edition is adorned with a 'minimal modernist' print designed by textile designer Laura Slater. It features popper detail down the sides and hidden pockets. This Kin by John Lewis dress offers a modern aesthetic, adorned with an exclusive pattern. 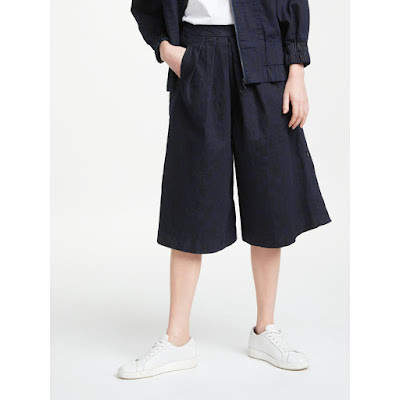 It's crafted from pure linen for a lightweight handle whilst gathered drop shoulder sleeves, a rounded hemline and belted waist complete the silhouette. This flowing midi length from our Kin by John Lewis limited range has a bold abstract 'Spaced Sequences' print, designed by Laura Slater. It features a dropped cinched waist, a tie neckline and slip pockets for a touch of practicality. This oversized dress from our limited Kin by John Lewis collection features a bold and bright all-over 'regulated repeat' print, designed by Laura Slater. It features contrast ribbed trim detailing around the neck and black button detailing at the shoulder. A subtle black pattern designed by Laura Slater adorns the legs whilst popper detail down the sides complete a contemporary style. 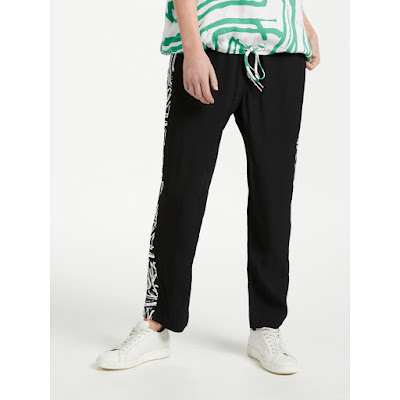 The side of each leg is adorned in a broken stripe print and the waist is complete with a classic drawstring detail. In a relaxed shape, with piece has short sleeves, a drawstring hem and crisp cotton construction.